Turn up the volume with the adult-sized HED 026 Behind-the-Neck Mono Headphones from Williams Sound. 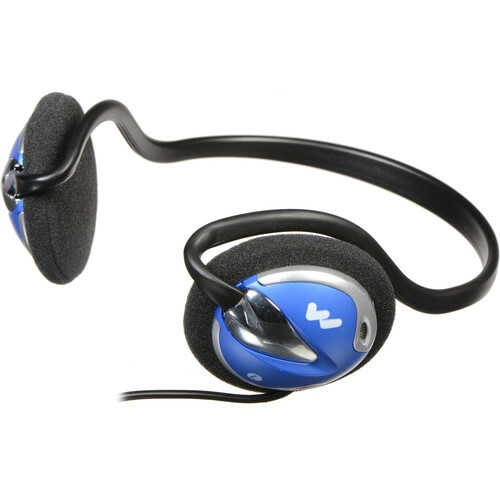 These headphones are designed to offer crisp sound in a lightweight and comfortable design. Foam earpads keep you listening in comfort for hours. The single-sided cord helps to minimize snags and tangles, and the standard 3.5mm mono plug is compatible with Williams Sound receivers and Pocketalkers. Box Dimensions (LxWxH) 6.4 x 5.5 x 2.2"
HED 026 Behind-the-Neck Mono Headphones is rated 5.0 out of 5 by 2. Rated 5 out of 5 by Don from Would recommend for use with older members. Purchased this for use with a hearing assist device. The original headphones were difficult for some of the older members of our church congregation to use as they were hard to fit over the ears, and ear buds would have also proved difficult, especially for hearing aid wearers. These are very easy for the users to put on and don't mat down the women's hair. Also, the single cord minimizes tangling problems. Have since ordered addition ones because of ease of use. Rated 5 out of 5 by Anonymous from HUGE BLESSING FOR HEARING IMPAIRED THESE WERE PURCHASED TO PROVIDE AUDIO BOOST FOR THE HEARING IMPAIRED. WE USE THESE WITH THE WIRELESS TRANSMITTER IN OUR CHURCH AND THOSE WHO COULD NEVER HEAR THE MUSIC NOR THE VOICES ARE ABLE TO OT ONLY ABLE TO HEAR THEM NOW BUT THEY CAN UNDERSTAND THE VOICES.